All right. I just couldn't resist. 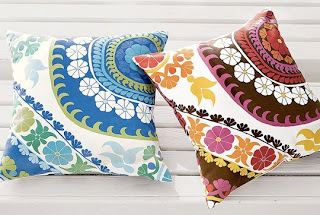 My new obsession is patterned pillows. So I had to pull these ones off of Apartment Therapy Chicago to share. As of today, my dream room is a room that is completely white, and then full of pillows, throws, and rugs with gorgeous patterns and colors like these.